1. The list of future releases from Amodel has been expanded to include a crop-spraying variant of the Ka-15 (#72106) with chemical tanks and spray-booms. Out now is 72084, the Ambulance version of the Mi-1. 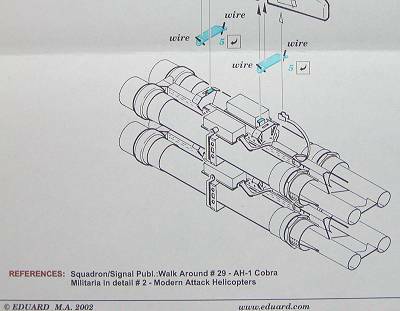 NKR Models say that this is "basically a re-issue of Amodel's Mi-1 but with two extra sprues of parts containing the two 'ambulance' pods. The new decal sheet has markings for two Soviet and one Polish Mi-1 ambulance. The kit has 74 parts (including injection moulded clear parts), but 8 of them are not used in this version." A variety of generic numbers are also provided to allow the modeller to depict other aircraft in the fleet. A complete set of maintenance stencils is also included. It is hoped that the apparently bright yellow serials, stencils, and other markings are designed to assume the correct green colour when applied over black paint! 3. Anigrand Crafworks' new 1:72 resin & vacform Doak VZ-4DA kit (AA-2008) is now available. I'm inclined to exclude ducted-fan machines from the 'rotorcraft family', but 1:72 VTOL enthusiasts will find it very interesting. 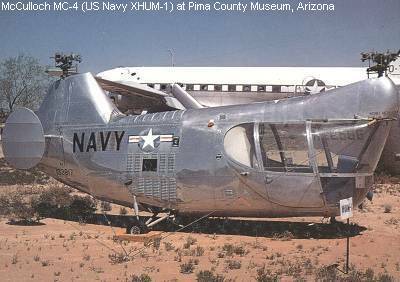 Markings are provided for the one US Army red and silver prototype aircraft 56-9642. 4. Unicraft have a page where you can vote for your choice of future releases. One of the choices offered is a 1:72 McCulloch MC-4. The VOTE button is at the bottom of their 'Future Releases' page. Please visit the page and vote for this release! 5. Special Hobby have released a 1:48 DFS 230A glider (48014) suitable for conversion into the Focke Achgelis Fa-225 gyro-glider. 6. Hasegawa's limited edition IDF/AF 'Peten' version of their 1:48 Apache is scheduled for release this month (09489). 7. Fujimi continue their KV-107 / H-46 line with another CH-46. This will be a USMC Rescue version (72147) and will be released in July. 8. The Panda UH-1N 'USN' (35008) should be released this month. 9. 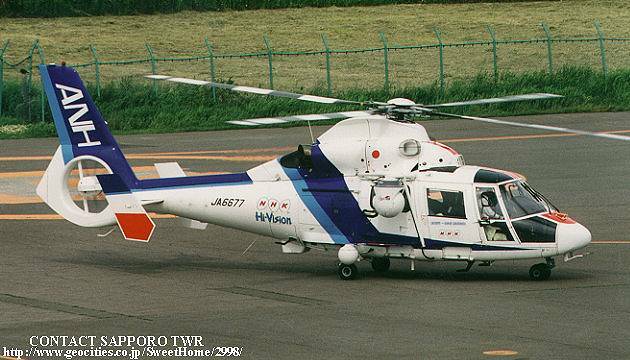 Trumpeter have announced another Japanese civil variant of their 1:48 Dauphin, this one comes with markings for an 'All Nippon Helicopter' aircraft, and will be released in June. 7078, UH-1B interior (to go with the exterior set shown in HKN #165) for the Italeri kit. The UH-1B resin includes a complete new cockpit roof with interior and exterior detail, cockpit floor and instrument panels, choice of two cabin rear bulkheads - one with seat-backs and sound-proofing, armoured crew seats with moulded belts, optional cabin seating, replacement cockpit doors, collective & cyclic sticks, and nose bracing panels. Also provided is an etched sheet made by Eduard which has seat details, buckles, pedals, windshield wipers, and instrument panel fascia. Finally there is an acetate sheet printed with the instrument dials. The moulding appears to be perfect and the detail very refined. ZD630 / '012', as seen at the Falklands Celebration Day, Doncaster Air Museum, UK, June 2002. ZA136 / '018', which ditched in the North Sea in September 1998 while searching for a missing RAF Jaguar. XV708 / '011', participating in Operation Barwood - delivering relief aid in Mozambique in March 2000 (includes Union Flag). 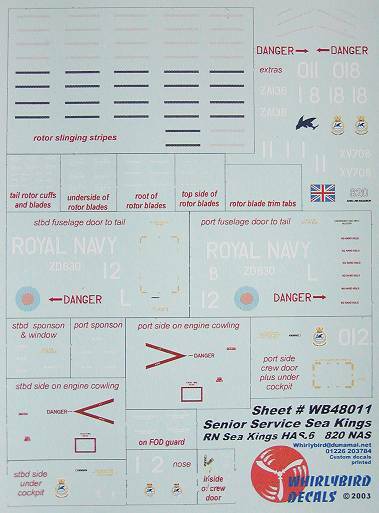 Also available from Whirlybird is decal sheet #WB72012 for the RNZAF UH-1H. 13. 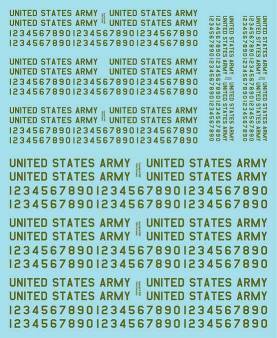 A proof copy of Cobra Company's forthcoming sheet of green serial numbers and 'United States Army' titles for 160th SOAR 'Night Stalkers' Blackhawks and Little Birds shows marking in 1:35, 1:48 and 1:72 scales. 14. Marine Air Graphics Decals are putting the final touches to their 'Liberty Bell' recovery helicopters sheet, it should be ready by the end of this month. MAG are also finishing a set of decals for the US Navy 'Seawolves' in Vietnam, with thanks to Howard Dishman who supplied all the research material. Note also that MAG now have a new email address. 15. Eric Verschuur has written to say that in the past he has obtained Flying Papas Decals (see HKN #165) from Rainbow 10. HKN is also currently investigating another possible source, of which more later, hopefully. 16. Adding to the list of possible Operation Iraqi Freedom decals from Twobobs Aviation Graphics, we hear that AH-64 Apaches are also likely to be covered. 17. 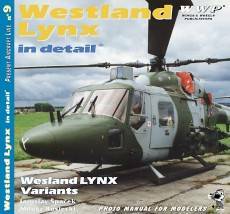 The new Wings & Wheels Westland Lynx in Detail book by Jaroslav Spacek has 48 pages of colour photos concentrating particularly on variants serving with the UK Army Air Corps (AH.1, AH.7, AH.9), UK Navy (HAS.2, HAS.3, HMA.8), Danish Navy (Mk.80. Mk.90), French Navy (Mk.2(FN), Mk.4(FN)), Netherlands Navy (UH-14A, SH-14D), and German Navy (Mk.88, Mk.88A). There are many very useful detail photographs not readily available elsewhere. Highly recommended. 18. Philippe Dognon's Close-up No.1 - US. Navy Seahawk Family, published by Landing Zone (see HKN #160) can now be ordered in the USA from Plane Crazy. 19. Scale Aviation Modeller International's May 2003 edition carries a full page notice from Hobbycraft Canada stating that Idea have unlawfully sold Hobbycraft copyright moulds to Academy, and that Hobbycraft will take legal action to prevent the sale of any kits made by Academy from these moulds. The list includes the 1:72 V-22 Osprey, the CH-113 Labrador, and the Vertol H-21. Thanks to Chris Miller (Cobra Co.), Tish Swiecicki, Philippe Dognon (Landing Zone), Eric Verschuur, Arnold Chiu (Anigrand), and Gary Dobias (MAG).